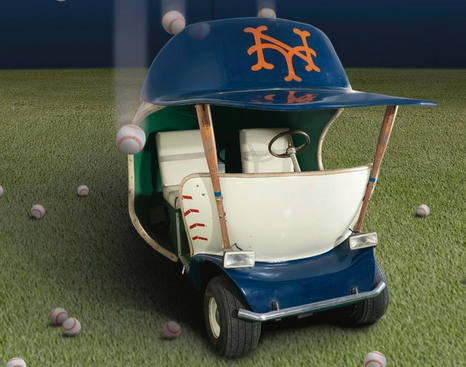 What fan from the sixties through the eighties can forget the old baseball shaped bullpen carts. 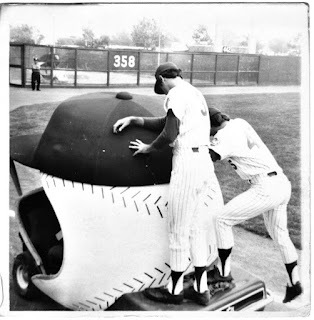 When a relief pitcher was brought into a game, he would get driven from the bullpen along the foul lines to the pitchers mound area near the dugouts. 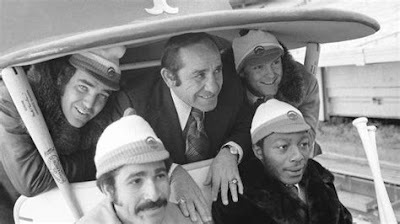 There he would exit, leave his jacket with the driver & proceed to walk to the mound. The vision of the Mets great reliever, Tug McGraw comes to mind immediately. 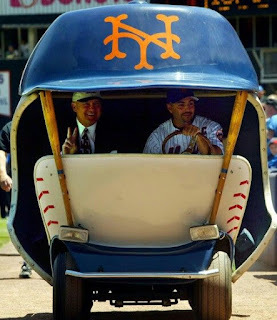 The Mets bullpen cart was the first of it's kind. Other teams had started the practice of driving the pitcher to the mound back in the fifties & the Los Angeles Dodgers were the first to use an actual golf cart. But the Mets were the first to put a team cap /helmet on the top of the vehicle. The cart was a 1967 electric powered Presidente Cart. It was battery operated with a steering wheel on the drivers left side. The cart was shaped like an actual baseball, complete with red stitching on the sides of the front of the cart. The seats were white cushioned, designed to look like bases & the floor area was green representing grass on the baseball field. 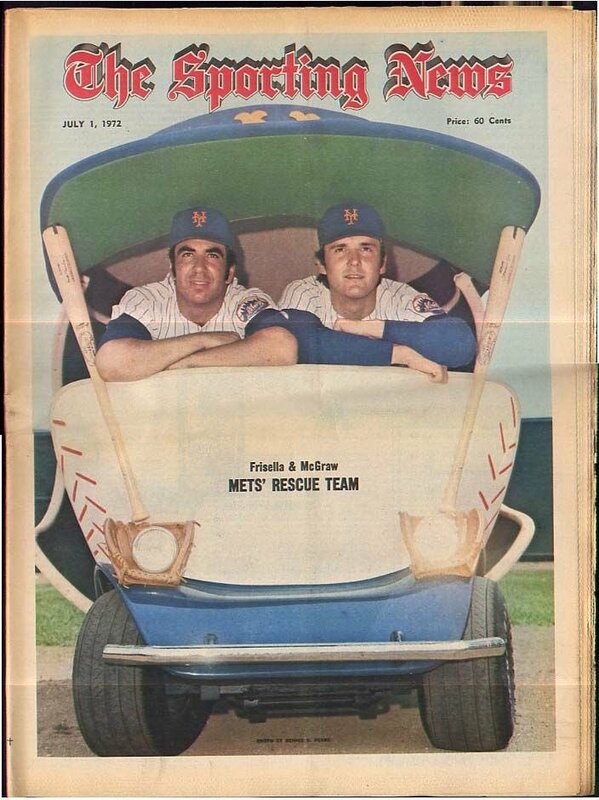 The front had two bats supporting the Mets cap / helmet which sat atop as the roof, complete with the Mets orange NY logo on it, classic stuff! In 2015 the cart was auctioned off by Sotheby's, expecting to go for $25,000 range it sold for an Amazing $112,500. Over the last two years it seems the bullpen cart is making a comeback on the field in MLB.